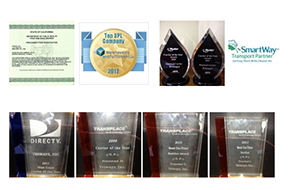 Triways since 1978 a award winning transportation company offering freight, trucking, and warehouse services in Southern California. In business for over 39 years, Triways quality of service just keeps getting better! We own our private fleet of trucks which gives us control of the quality and pricing. You can rest assured that your project will be handled to the highest of standards. 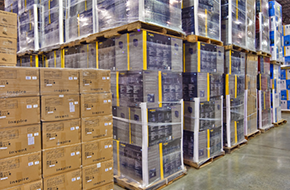 Triways makes warehousing and shipping easy because we offer everything that you need under one roof. Triways has over 300,000 square feet of flexible storage space available in the popular southern California market. How Do I Choose Between So Many Warehouse Companies? 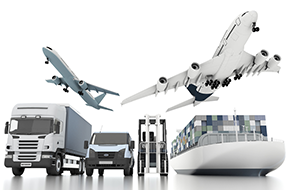 Southern California is an enormous market for logistics services. Not only is there a large population base, but there’s also a significant amount of incoming freight from overseas into nearby ports. And as you could imagine, there are a large number of warehouses in the greater Los Angeles area. So how do you choose with warehouse is the right partner for your business? The simple truth is that most warehouses make too many mistakes. And the companies that do a good job offer pricing that is usually too expensive for your budget. This is what sets Triways apart from the rest. Not only do we operate at the highest of levels in terms of quality, accurate, on-time shipments, but we also offer warehousing and shipping rates that are second to none. And on top of all of this, Triways is an integrated carrier, offer all of the services you need under one roof. We own a fleet of trucks, so we can control the service and costs. Is Your Network is Fully Secured? How Does Your Ecommerce System Work? What to Look for in a Pick and Pack Company? You’d think that any 3PL service company could ship your goods for you without any problem. However, that’s simply not true. It’s not uncommon for a typical warehouse to make many mistakes, ultimately leading to dissatisfied customers and potential lost sales. Fortunately, there are some good companies out there like Triways. So what should you look for in a quality company to use as an outsourced partner? We are more than happy to talk with you over the phone about any questions you may have. We love sharing our knowledge and first hand experience with curious business owners looking for the best possible solution. 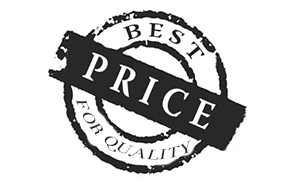 Take a look at our online quote form. Order fulfillment- 100% accuracy. Even when we send a duplicate order or a wrong address, they raise the flag. Although they use technology for their advantage, they don’t work like robots. Triways team is very professional and warm. Highly recommended! WMS system Extremely efficient. We have our 24/7 web portal were we can check our current inventory, track our orders and run important reports (inventory, open orders, receiving, shipments, usage, processed orders, inventory as-of, etc). They can develop any report you need. Triways Service “I’ve been working in this industry for more than 10 years and Triways is by far the best company I’ve had the chance to work with"
Our lasting reputation has brought us some great clients!